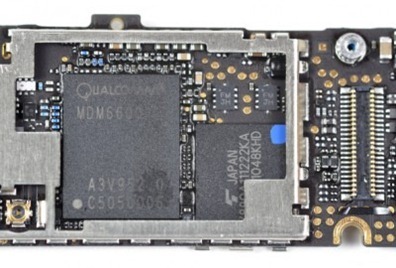 iPhone 6 To Support LTE And Arrive In 2012 With Qualcomm MDM9615? We’re not even sure when the iPhone 5 will put in an appearance and the rumor-mill is already in full swing for iPhone 6, with The Cell Phone Junkie claiming the next-but-one iPhone will support LTE with a release penciled in for 2012. While it’s universally agreed that the iPhone 5 will be the first Apple hardware to support both GSM and CDMA, The Cell Phone Junkie’s Mickey Papillon believes the 6th incarnation of iPhone will in fact be a world phone with added support for LTE. Now, if the iPhone 5 won’t have LTE, will the iPhone 6? Almost certainly. For the timeline, we look back to Qualcomm. The chipsets used in the iPhone 4 were announced over a year prior to the device’s actual release. So if we think the iPhone 6 is coming in 2012, then we need to keep our eyes on what Qualcomm is doing now. Back in February, Qualcomm unveiled it’s next generation of chipsets, including the MDM9615. This chip will provide enhancements in modem performance, power consumption, board area and BOM expense, exactly what Apple is looking for in its devices. The 9615 will support LTE (FDD and TDD), DC-HSPA+, EV-DO Rev-B and TD-SCDMA. We certainly see no reason to doubt Papillon – the guy successfully predicted the exact chipset Verizon’s iPhone would be using a year before it was announced after all. We’re also not expecting a chassis redesign for iPhone 5, meaning any real change to the innards could indeed need to wait until iPhone 6 in order to make the hardware’s shape accommodate it. The timescale also fits, with the iPhone 5 arriving in Fall 2011 and an iPhone 6 coming in 2012.